Costco and Zara are two of the latest Western brands to open online stores in China via Alibaba’s Tmall marketplace. They’re hoping to follow the success of companies such as Apple, Burberry and Marks & Spencer which have used this route to reach millions of consumers. With ecommerce growing fast around the world, more British and American companies are shifting their focus overseas. And often marketplaces and other sales channels are the key to reaching a global audience. Cyber Monday broke records in the USA this year, and resulted in a surge in online sales around the world. While December is still a key month for UK and US retailers, many e-commerce companies are also focusing on other global shopping trends. The old adage “the customer is always right” applies just as much in a global digital economy. A recent survey by American Express of international customers found that almost two-thirds were willing to spend slightly more money with a company which provided better service. Others say they expect “excellent service” as standard, and it’s essential to gaining repeat business. Yet it can be particularly tricky when marketing online, especially across different markets and languages. Global e-commerce business-to-consumer sales are set to soar past the 1 trillion euro ($1.25trillion) mark by 2013, according to a recent report. The IMRG concluded “the future of ecommerce is global”, with strong growth in Asia, Latin America, and the Middle East. For businesses of all sizes, the internet is a relatively low-risk, and cost-effective way to test the waters in new markets. But it’s all too easy to go wrong, by failing to take cultural differences into account. 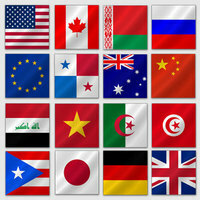 The fast-growing CIVETS countries have attracted a lot of attention from investors in the first half of 2012. As internet use continues to rise, they offer new opportunities for e-commerce companies. As the Eurozone’s debt woes continue, more marketers are looking further afield for new customers. Many eyes are turning towards the so-called CIVETS nations – Colombia, Indonesia, Vietnam, Egypt, Turkey, and South Africa. Pay-per-click advertising can be one of the fastest ways to drive new traffic to your website. For companies looking at breaking into new markets, it can be a low-risk, cost-effective way to get started. However, many businesses are failing to realise its full potential, especially in other languages. 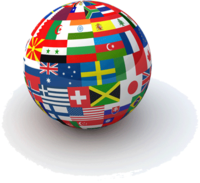 Targeting international customers involves a lot more than just translating a website. 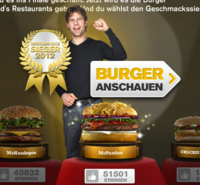 Global companies, such as McDonald’s and Twitter, show the importance of adapting designs to reach different audiences. It’s said an image can tell a thousand words, and a well-designed website can make or break an online company. But the message it’s sending can vary depending on the audience. 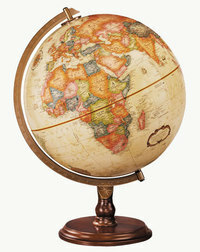 Communicating effectively with global customers can involve much more than simply translating the content. It also means thinking carefully about other design aspects, from choice of colours to navigation. Facebook’s growth is increasingly fuelled by users in emerging markets, including Latin America and the Middle East. But it still faces local competition in many countries.